Update, February 14: Congress on February 14 introduced a new spending package with funding for increased surveillance. We are disappointed and remain concerned about the threat such technologies pose to civil liberties. 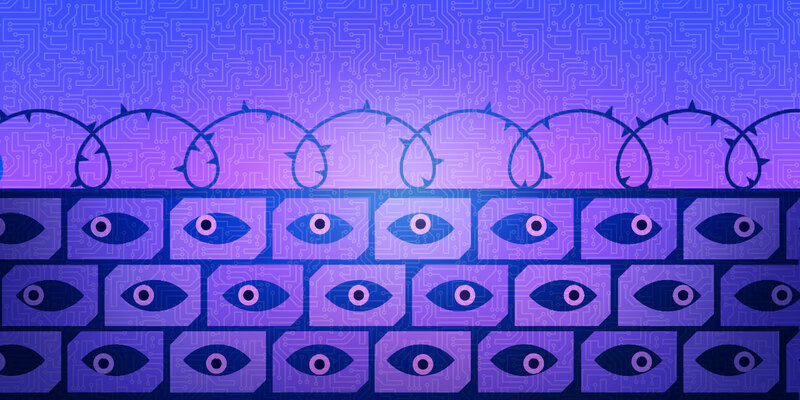 Increased mass surveillance, including at the border, threatens everyone’s civil liberties. Yet some Congressional Democrats, looking for alternatives to President Trump’s demand for a border wall, recently offered a border “security” proposal that suggests expanding surveillance at the border. That could lead to new funding for technologies that invade the privacy of immigrants, travelers, and American citizens living near the border. It’s time to tell Congress: Don’t put money in the budget for expanded surveillance at the border. Congress should not counter President Trump’s calls for a physical wall with a tech wall. Unchecked use of surveillance tech undermines everyone's right to privacy, especially the most vulnerable members of society. We stand with more than two dozen civil liberties groups who have told Congressional Democrats that we oppose such measures. The proposal suggests “new cutting edge technology.” This may include automated license plate readers (ALPRs), which collect sensitive location data from everyone who drives by them. U.S. Customs and Border Protection already deploys ALPRs not just at the U.S. border, but also at internal checkpoints as far as 100 miles inland. Tell Congress: Don’t put money in the budget for expanded surveillance at the border. Additionally, the proposed “new cutting edge technology” could expand existing biometric screening of travelers. The federal government already conducts face surveillance of all travelers (U.S. citizens and foreign nationals alike) on certain international flights. Other threats include iris scans, voiceprints, or even collection of DNA information. Given the sensitivity of biometric information, EFF is concerned about the threat that any collected data will be stolen or misused, as well as the potential for such programs to expand far beyond their original scope. The proposal also calls for “an expansion of CBP’s air operations.” This likely means more drones indiscriminately capturing the faces and license plates of everyone living and working in the area around the border. Finally, the proposal calls for an “expansion of risk-based targeting” programs. This may include expansion of programs that use mathematical analytics to choose who to target. The Department of Homeland Security already screens the social media of foreign visitors, threatening the free speech and privacy rights of innocent foreign visitors and the Americans with whom they communicate. After public outcry, DHS abandoned its plan to conduct automated “extreme vetting” of immigrants’ social media. Congress now should ensure it does not fund any new programs like this one. The proposal to build a physical barrier at the border has been roundly criticized. We should not deploy a variety of invasive technologies that violate everyone’s civil rights in its place. We have already told Congress we oppose new funding for invasive technologies such as biometric screening and collection, DNA collection, social media snooping, unregulated drones along the border, and automatic license plate readers aimed at interior traffic. Now it’s your turn. Tell Congress that funding new surveillance is not the answer to the border security debate. Stop the Tech Wall.